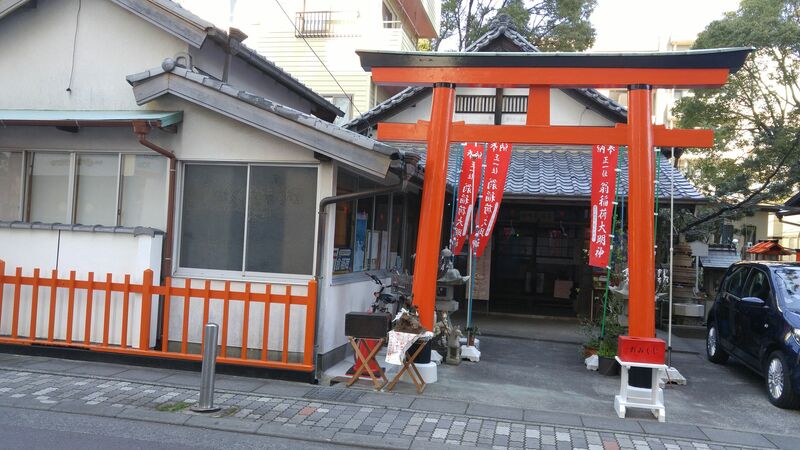 If you take the first street right of Shizuoka JR Station that runs past the Post Office and under the railway tracks you will enter the south side of Shizuoka City, that is Suruga Ku. keep walking straight ahead and 5 minutes later you will find these red pennants along the left hand side of the pavement! 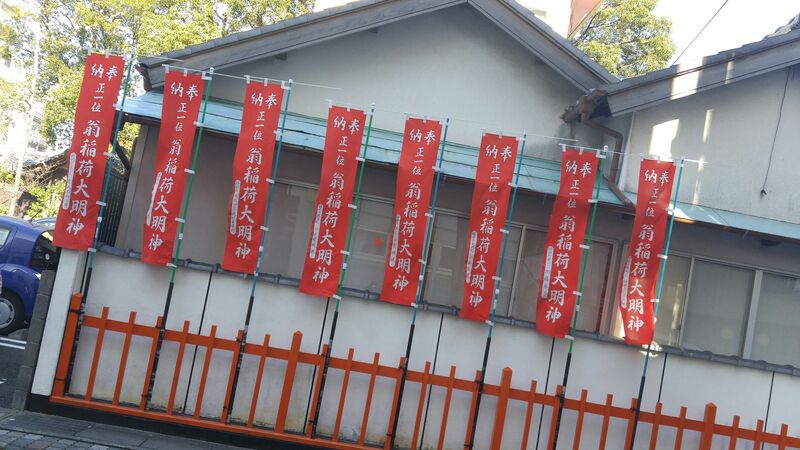 For all their garish grandiloquence they only announce the presence of a small Shinto Shrine called Okina Inari Daimyoujin Shrine (翁稲荷大明神). 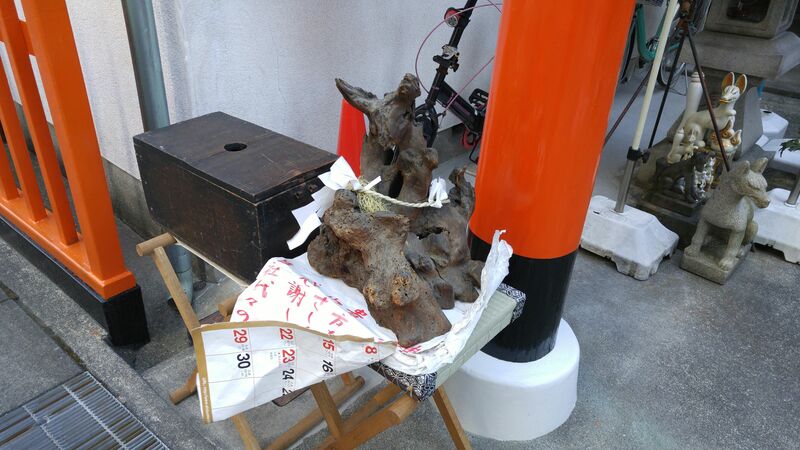 The reason I decided to have a look at it is that my good friend, Atsuko Kurata who is always on the lookout for unusual sites signaled to me through Facebook! 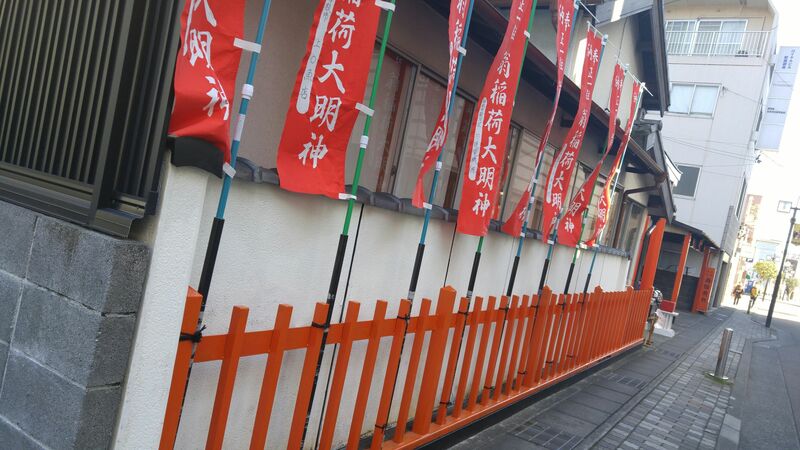 The red torii/鳥居/Shrine Entrance Portal! 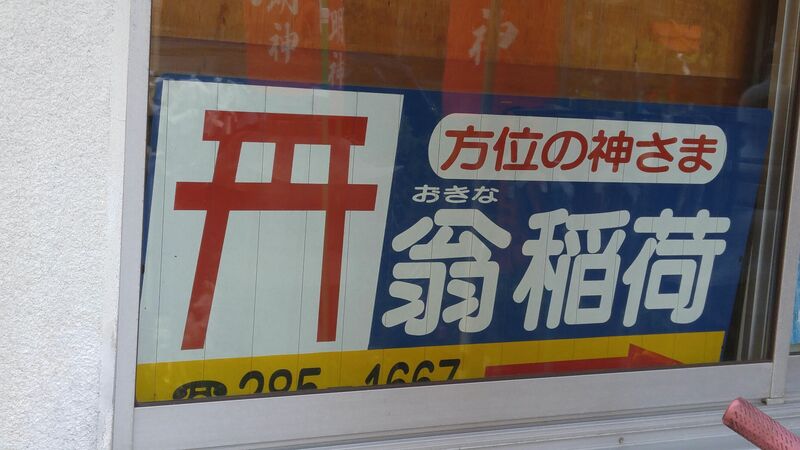 An unusual way to advertise a Shinto Shrine the way they used to do for private shops in Japan of yore! All kinds of invitations written on the paper flying in the wind! 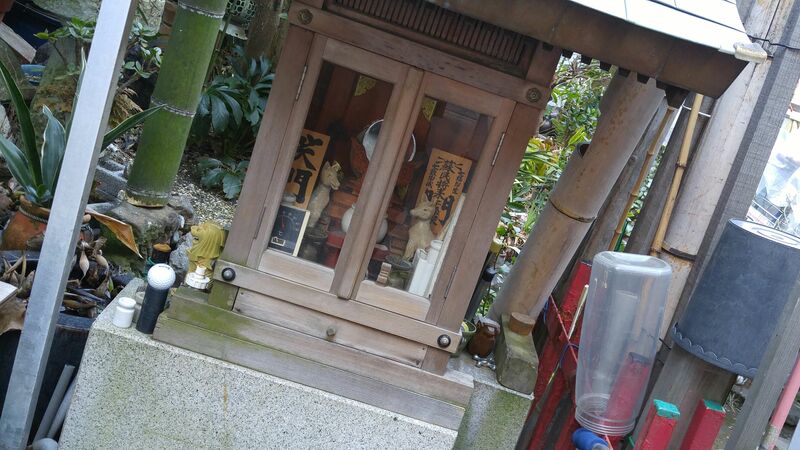 Inari Shinto Shrines are always guarded by foxes. Herds of them in this particular case! Note the metal braziers used as supports for the votive messages! 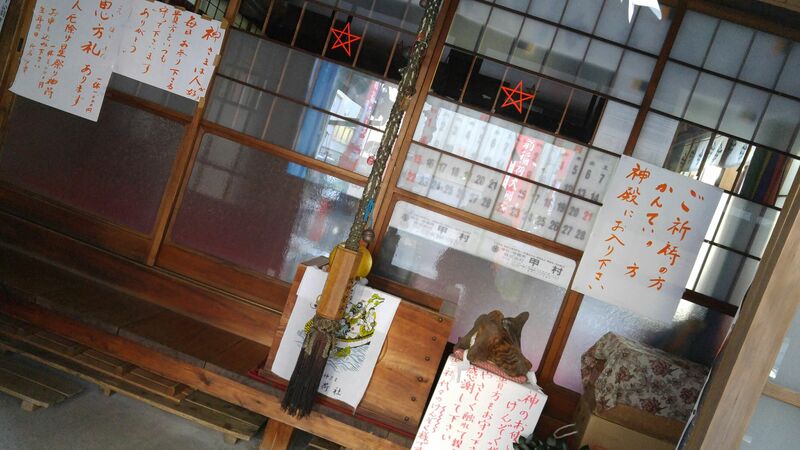 I wouldn’t criticize you for taking this shrine for a local shop! 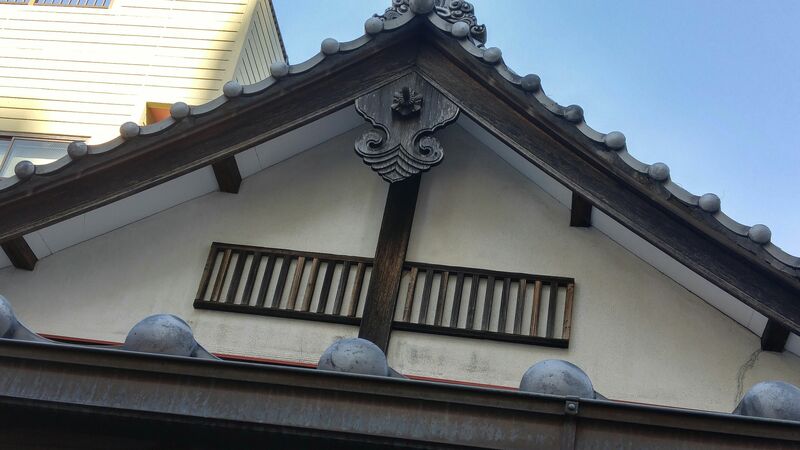 The roof pinion could be used either in a Buddhist Temple or a Shinto Shrine! 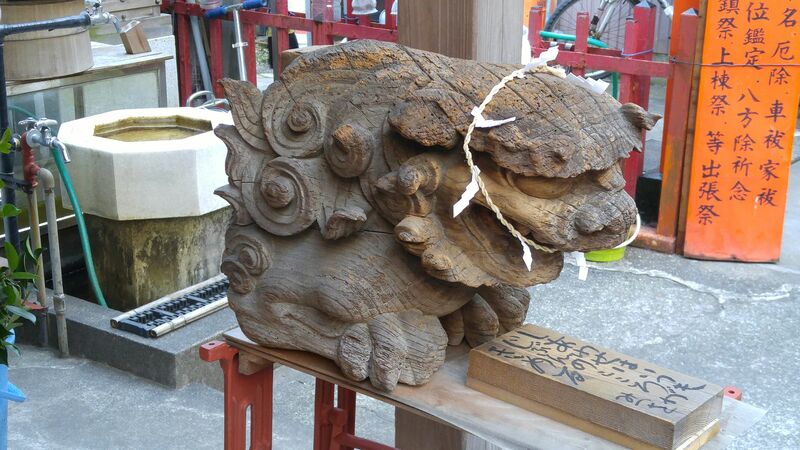 Now, this antique komainu/狛犬/lion guard came from under the roof of another shrine or temple! 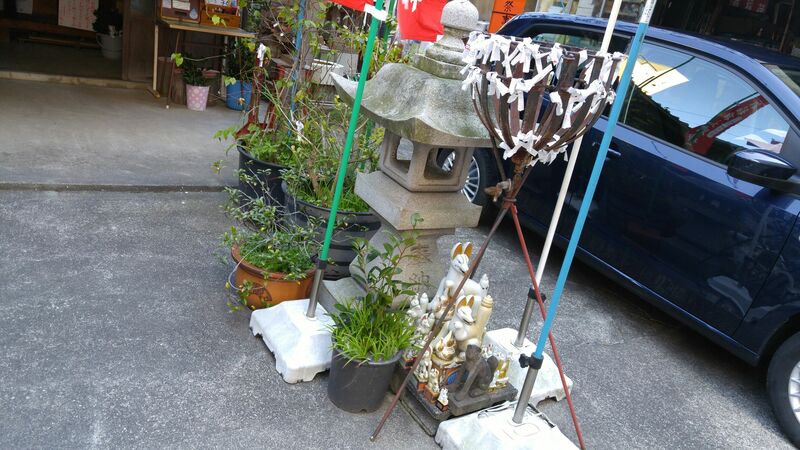 A real bric a brac on the west hand side of the shrine! 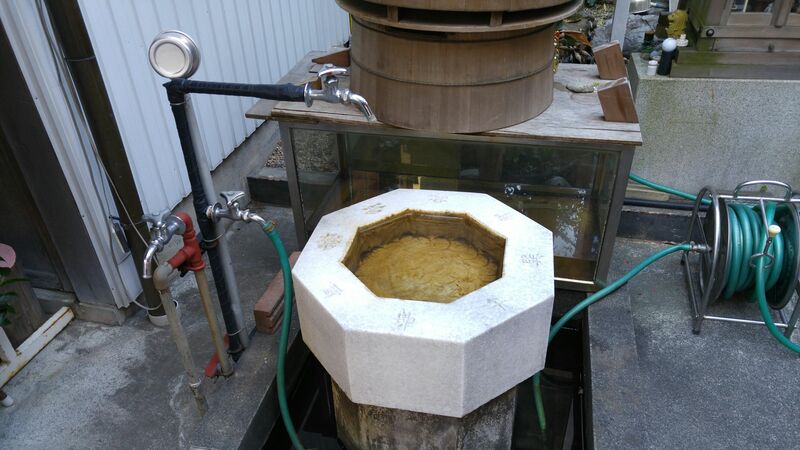 Now, this is an exceedingly unusual stone hand washing basin! 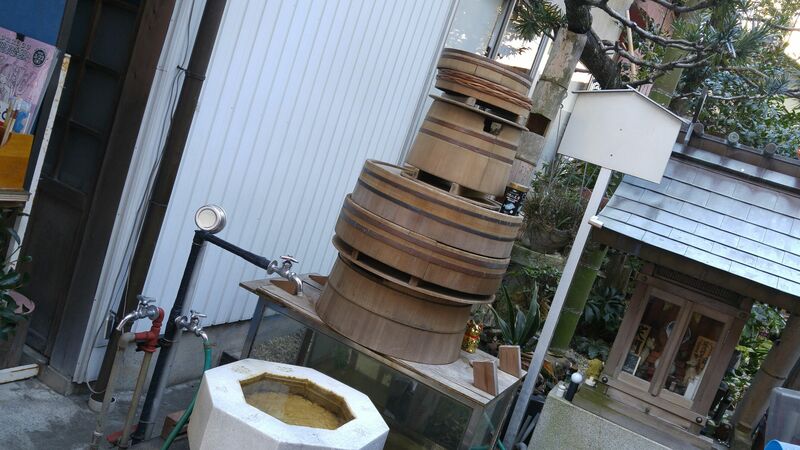 Why all these traditional Japanese water tubs? 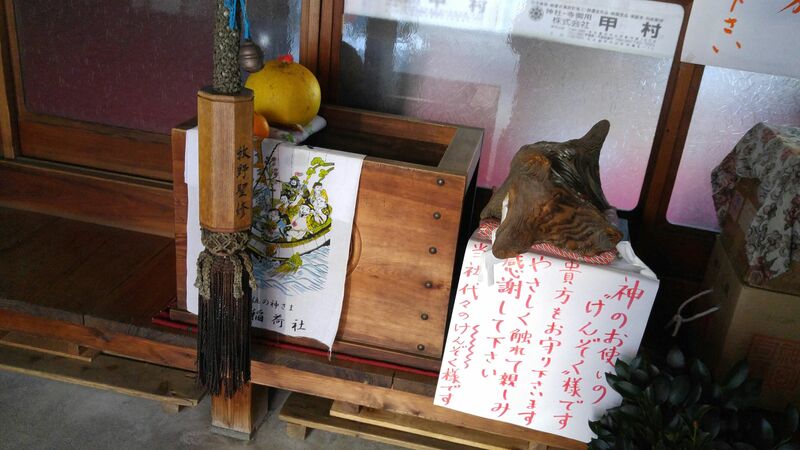 The prayer bell and its rope and the money-offerings box! 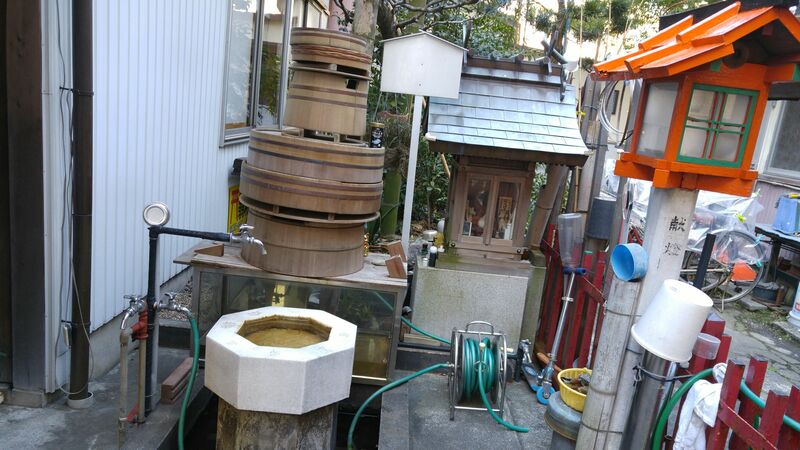 It looks like an antique than anything else! 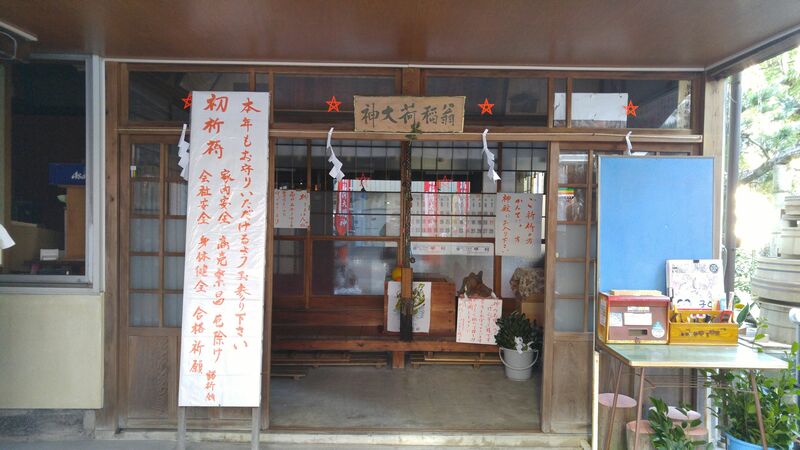 Actually the lady owning and looking after the whole place kindly let me take pictures of the inside! 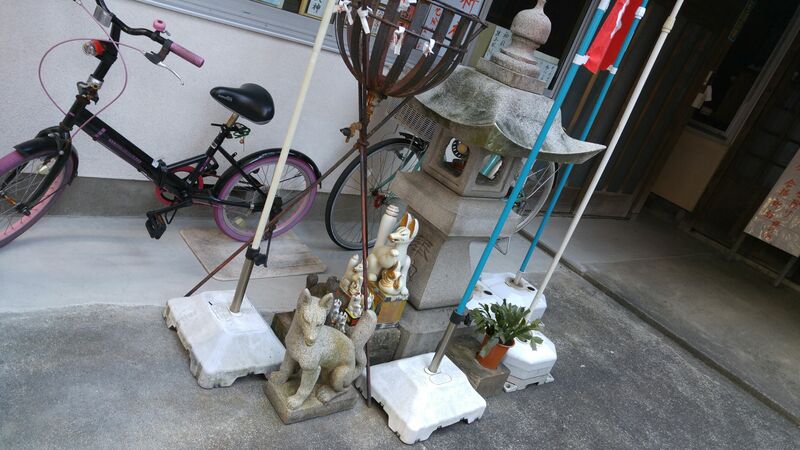 All kinds of offerings from neighboring followers among a jumble that still looks like an antique dealer’s dream! 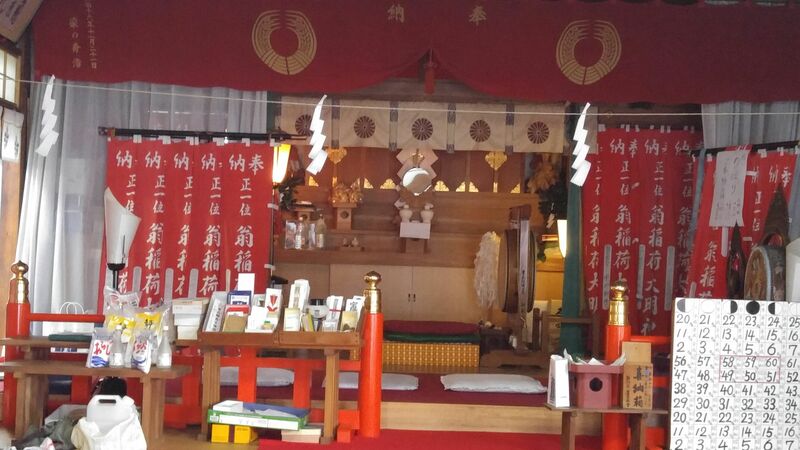 Actually traditional Japanese dancing plays are also held inside! 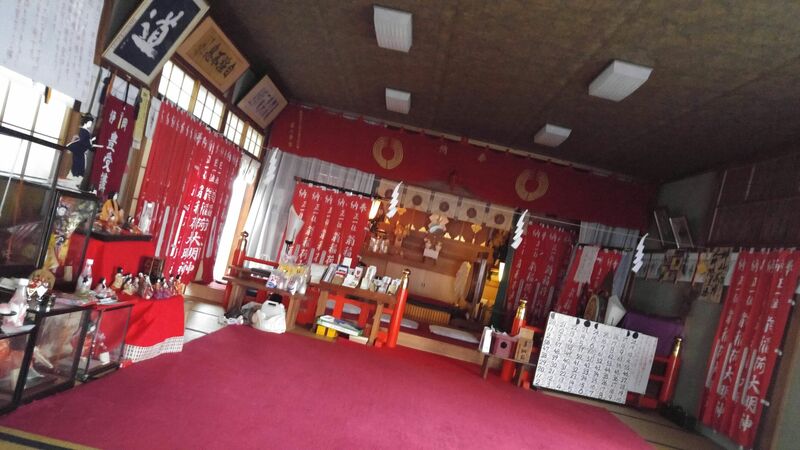 Previous PostShizuoka Craft Beer: Izu No Kuni Brewery-Scottish Ale (Canned Version)Next PostKura: Traditional Warehouses in Shizuoka Prefecture 40: Edo Era Village Kura in Nakajima Primary School, Suruga Ku, Shizuoka City!